Higher tariffs on cars and parts could sideswipe the collector car industry. 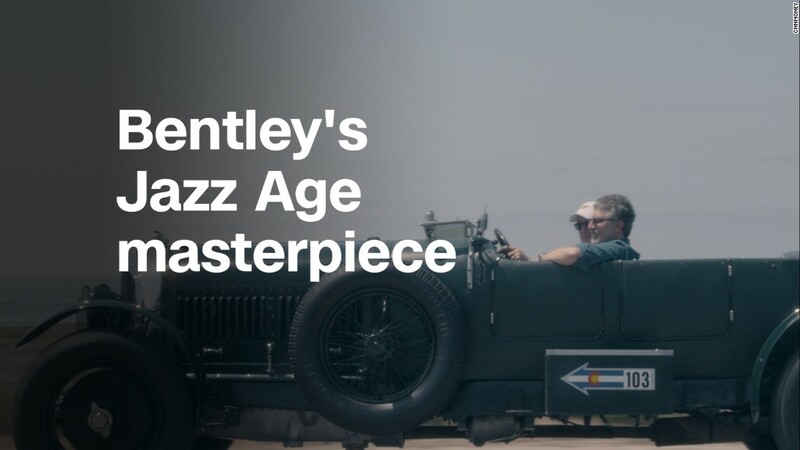 More than 20 million cars are classified as "collector cars" in the United States, according to Hagerty Insurance, a company that insures them. More than $1.5 billion worth of collectable vehicles are sold at auction each year, but that represents only a tiny slice of the trade. About 95% of collector car sales are not at auctions. The cars themselves cover a vast price range, from a 1963 Ferrari 250 GTO that recently sold for $70 million to the tiny, pastel-colored 1991 Nissan Figaros sold by Duncan Imports from its giant garage in rural Virginia. The Trump administration has proposed increasing the import tax for autos and auto parts to 25% from 2.5%. For Gary Duncan's customers, buying inexpensive, off-beat cars to drive to car meets, a 25% tariff could make a big difference. "I'm not sure that customers will pay that extra $2,500 in that price range," Duncan said. The average car that Duncan Imports sells costs about $10,000, he said. Duncan Imports specializes in "Japanese Domestic Market" city cars and mini trucks that weren't designed for American roads. Besides the Figaro, which looks like a cartoon of a car rendered in metal, he offers the Toyota Sera, somehow cute and futuristic at the same time, and the Honda Beat, which looks like a supercar crossed with a bedroom slipper. Mark Hyman with a portion of his inventory. Mark Hyman isn't sure his customers want to pay 25% more, either. In his case, it could mean hundreds of thousands of dollars. 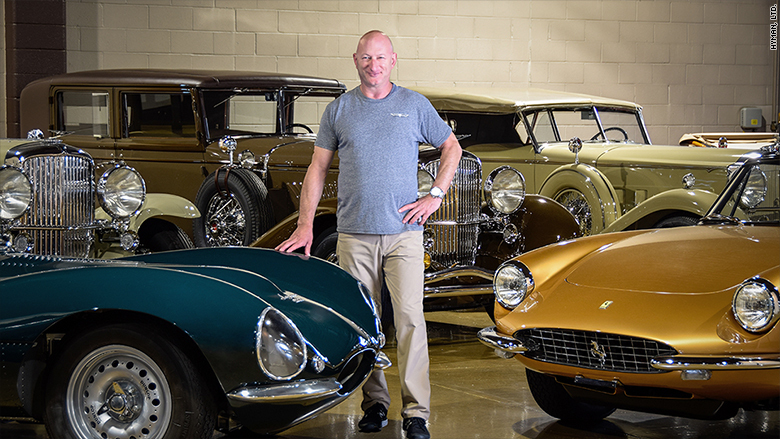 He runs Hyman Ltd, a St. Louis company that trades in high-end collectible cars. The ones currently displayed on the website include vintage Bugattis, Ferraris, Lamborghinis and Bentleys. In the last two months, he said, he has imported nine classic cars from Europe at a cost of more than $1 million each. That would mean a tariff of at least $250,000 on each of them. "That would essentially stop important cars from being brought in," he said. If the tariff is increased, other countries will probably raise tariffs in retaliation, he said. That could cause the market to break down. "The market for vintage cars is an international market that knows no boundaries," he said. A steep tariff on parts could affect businesses such as Vintage Car Solutions, a Houston garage that specializes in fixing and restoring classic Italian cars, including Alfa Romeos, Fiats and Lancias. Owner Michael Keith said he has to import most of the parts he uses from Europe. "Much of it originates in Italy, but for Alfa, in particular, there are some very good British vendors," he said. "I even get some odds and ends from a guy in Israel." All of this ultimately adds to the cost of owning a classic car, and that could, in turn, affect prices people are willing to pay for them. Roger Falcione, president of the Web site ClassicCars.com, which lists cars for sale, said he could see customers at least postponing purchases as parts become scarce. Even replacement parts for American cars, he pointed out, are often made in China. But David Magers, CEO of Mecum Auctions, doesn't think higher tariffs would hit the values of cars that aren't, themselves, imported. Junkyards provide an ample supply of spare parts for many cars, and there are even large of amounts of "new old stock" — never-used original parts — for American cars. But that doesn't mean he's unconcerned about tariffs. "We have a rather large motorcycle collection, in the millions of dollars, that's coming out of Sweden that will go to our motorcycle auction in Las Vegas," he said. That auction isn't until January, but Mecum is working to get those bikes onto a boat now in case tariffs are raised. "The last thing I want to do is bring a $10 million motorcycle collection to Las Vegas and all of a sudden get hit with a 25% tariff," he said.